"I can say on an informal note that the judges do consult the Bar. It is just that the kind of inputs the judges take while recommending names, you will be glad to know that the Bar is always taken into the reckoning, perhaps we have not formalised it," He said. He disagreed with a suggestion by Bar Council Of India to lift a 16-year-old ban on strikes by lawyers, wondering why there should be a strike at all. Justice Gogoi's response came after Bar Council of India Chairman Manan Kumar Mishra raised the issue of lifting the ban at a BCI event to felicitate the new CJI. The CJI's view was also shared by apex court's Justice Arun Mishra, who reminded the lawyers that their absence in court will affect people's liberty and deny many of their rights. 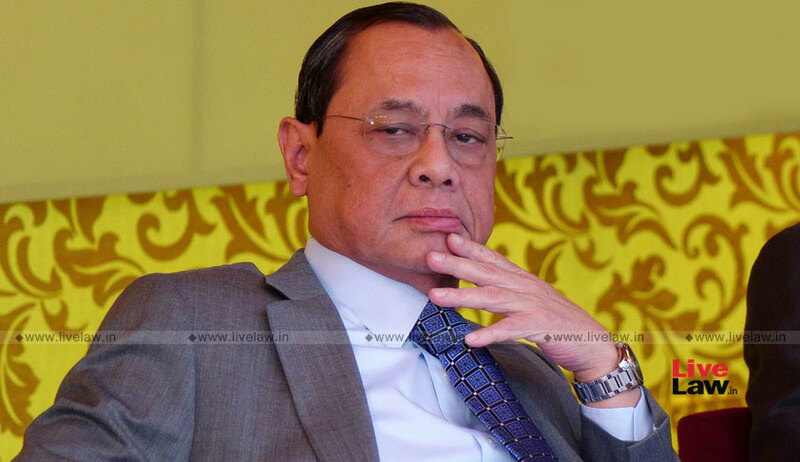 Justice Gogoi, who was sworn in as the CJI on October 3, said, "I don't think it is an issue at all. Why go into the legalities. Why should there be a strike? I am sure there wont be any". Echoing his views, Justice Mishra said that the strikes of the Bar can only be supported in "exceptional cases when the democracy is in danger" or for "saving the judicial system" but otherwise "it has no right to go on strike". "Can we afford jungle raj? Can we shut the doors for common man in rule of law. How many person's liberty is affected when you are not in court that day. How many persons are bereft of their rights that day," said Justice Mishra. Demanding lifting of the ban, the BCI Chairman said that if the mouth of lawyers are shut it will destroy the very democratic setup of the country". "The legal fraternity has a great faith on the CJI. We are sure that you will restore our freedom," he said. Justices N V Ramana and Mohan M Shantanagoudar, both apex court judges, were also present on the occasion. In a 2002 judgement, an apex court bench had held that lawyers have no right to go on strike or give a call for boycott, not even a token strike. In Ex-Capt. Harish Uppal vs Union Of India & Anr a three Judge Bench held that lawyers have no right to go on strike or give a call for boycott, not even on a token strike. “All lawyers must boldly refuse to abide by any call for strike or boycott. No lawyer can be visited with any adverse consequences by the Association or the Council and no threat or coercion of any nature including that of expulsion can be held out”. Justice Gogoi also expressed concern over the issue of large number of undertrials in the country. He said that the figure of undertrials in the country is very disturbing and added that a large segment of the country's young population is in jail . 67 per cent of the prison population are undertrials out of which 47 per cent are between the age of 18 and 30 , said CJI. Out of this 67 per cent, 66 per cent belong to the Scheduled Caste and 71 per cent are below Class 10 and 28 per cent are illiterates," he added. This is where legal aid comes in. A large number of lawyers are doing legal aid for very small remuneration. However, he said, that the quality of legal aid needs to be improved . Legal aid comes from a feeling of wanting to do something good. This is a feeling that can be generated by the BCI in lawyers. This is how society will grow, said Justice Gogoi. On the pendency of cases, the CJI said, "There is a feeling amongst all of us that the number of cases coming into courts are huge. It is huge because India is a huge country, but it is not." He said that in the United States, the number of new cases filed per thousand population in a year is 300, but in India it is 15. "If we are staggering at a figure of 15, where would we be if it is 150," said Justice Gogoi. He also said that in India there is one lawyer for every 1400. More lawyers are going to come. As the lawyer, population ratio has to naturally grow with inflow of cases coming. This is where the Bar council has an enormous role to play". He voiced concern over the state of legal education in the country and said that the BCI, being the regulator, has to keep in focus the quality of legal education. There are 23 National Law Schools but there are 1,500 law colleges, even some of the 23 National Law Schools are not doing so well. Barring a few colleges, say like the Government Law College in Bombay, Law Faculty in Delhi and a couple of law colleges in the state capital, the others are not doing well. This is the responsibility of the regulator, the quality of legal education in the country, said the CJI. Justice Mishra also raised concern over the issue, asking the BCI to check the law colleges mushrooming in the country. Several substandard colleges have come up, said he said.